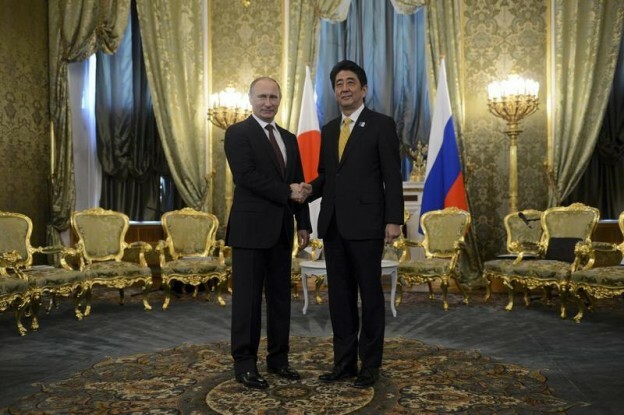 This is a quiet time in Japan-Russia relations without any indication of a transformative event ahead. Further contacts are arranged without drawing much attention. We need to look elsewhere for indications that conditions may be building for some sort of change. For that, I scrutinize Alexander Panov’s rejoinder, while also reflecting broadly on the evolving power structure in East Asia. Vladimir Putin is in the news a lot, indicative of a bold approach to international relations. Abe Shinzo’s assertiveness is widely noted in Japan too. Assessing the big picture in global affairs is within their scope. Japan-Russia relations need to be put in this larger context in order to appreciate their new potential. The ongoing struggle over Syria and the residue of distrust from Eric Snowden’s appeal for asylum have been drawing Russia closer to China, as discussed in Gilbert Rozman’s rejoinder. Worsening relations with Washington raise the prospect that Russia will see relations with Japan in strategic terms, helping to decide whether it can maintain its position as a pole in the multipolar world it has envisioned. To the extent that the two sides convey the clear message that they are committed to a solution that allows for no winner and no loser, then they affirm that they both recognize the strategic importance of their quest for a breakthrough in relations. As Panov wrote, “A consensus needs to be built behind the importance of a compromise solution.” I could not agree more. Resistance to this type of thinking can be found in both Japan and Russia. After the July 18 Panov-Togo joint proposal appeared in Nezavisjmaya gazeta, a severe criticism of it, specifically addressed to me, was posted in the open web debate forum Hyakka seiho organized by the Japan International Forum, written by Shigeta Hiroshi, former MOFA diplomat and an expert on Russia two years senior to me. My rebuttal, dated August 30- September 2, is shown on the web page. This kind of debate may help in enhancing the prospects for the consensus for which Panov is appealing2. As my rebuttal pointed out, Shigeta’s criticism was partly based on a misunderstanding, but it was premised on a deeply rooted conviction that any agreement that is less than “four islands in a bunch” is at the expense of Japan’s national interest. I hope that in my rebuttal, I succeeded in clearing up the misunderstanding by further explaining the gist of the Panov-Togo proposal, and also succeeded in better explaining to the readers that from all perspectives a “compromise” solution, which may bring about a two plus alpha agreement, is better than a “principled” position, which may not bring about anything. By the same token, Iwashita’s rejoinder needs further comment. In my Topics of the Month statement in August, I have already commented on the nature of the Kawana proposal of 1998 from the point of view of its spirit (a profound impact) and contents (of limited value). I would like to comment here on Iwashita’s remarks concerning the 2001 Irkutsk agreement and 1992 Russian confidential proposal, because precisely these two occasions saw the prospect of a no-winner no-loser solution emerging. Lack of accurate understanding of these two occasions may run the risk of failing to understand the nature and timing of a possible agreement in the months or years to come. Iwashita argued regarding the Irkutsk agreement that Russian materials offer no proof that it could have engendered anything other than a solution based on the return of the two smaller islands, and that “Togo has an obligation to reveal more about the probability of this assumption,” that it could eventually become a two plus alpha formula. If he is asking me to give some assurance that the Irkutsk formula could have led to a two plus alpha solution, it is obvious that I cannot, given the reality that the Irkutsk follow-up was never pursued, and hence that kind of assurance is impossible to be given. But if Iwashita is looking for some indication that this formula, if continued as originally envisaged, could have led to some resolution regarding Kunashiri-Etorofu, I ask him to refer to the following concrete part of my memoir: Vice-Minister Lohsukov’s Interfax interview of April 4, 2011, which is probably the best proof of his willingness to start talks on all four islands3. Of course, “starting” parallel talks does not guarantee that an agreement would emerge, particularly on Kunashiri and Etorofu. If Iwashita considers that in Irkutsk, when we were on the verge of negotiations, there should have been clear assurances about the outcome, he is trapped by the same mistake that has bedeviled many Japanese negotiators: expecting to know the outcome before negotiations began. There may be no stronger evidence than the Togo-Panov joint proposal of 2013 to prove that the 2001 agreement could have led to a two plus alpha solution, because it is precisely the two of us who cooperated most to draft the Irkutsk Declaration and come up with the idea of parallel talks based on it. To be sure, in 2001 no concrete modality was discussed by us, but our basic thinking has not changed one iota. Had we continued the negotiations, one possible outcome would have been the 2013 joint proposal, provided we could have secured the corresponding political decisions on each side. Iwashita asks a serious question about the authenticity of my disclosure of the 1992 Russian confidential proposal, adding “Togo was not on site then….Togo should show further documents to verify his explanation.” This is a surprising request if he is aware of how the recent debate on the 1992 Russian proposal unfolded. It was started solely by Kunadze’s interview with Hokkaido shimbun at the end of 2012, and, then, followed by my reactive statement. As I wrote in my memoir, I was fully aware of the sensitivity of the proposal. If anyone cares to check my writing, full evidence is there that I was determined not to disclose its contents, primarily due to a desire to protect the initiators, especially Kunadze himself. Yet, given the importance of that proposal some hint had to be given to readers to understand that something very important took place. Naturally, my position as a former government member, who by law is forbidden to disclose confidential information, was part of my consideration4. When I read Kunadze’s December interview I was confused, because the proposal was different from the contents about which I learned in reading the minutes of that meeting. So, after some serious thinking, I decided that the most important thing is not to mislead the Japanese public, and I made my January disclosure to Sankei shimbun. Now we have some unfortunate discrepancies among those who once gathered our thoughts and worked together to find a breakthrough, including my former colleagues. I had better stop my argumentation here. I have no intention to go further than what I did in January. Suffice it to say that as a former member of the government, I am not entitled to any disclosure of that document itself. The next occasion when historians may learn what really happened is when those minutes will be disclosed from the MOFA confidential archives. Let history judge who testified truthfully. Much more importantly, what we can learn from these two similar, but substantially different, versions of the same 1992 proposal is how difficult it is to engender a “no-winner no-loser” solution. a) Is the Togo revealed version of “An agreement shall be concluded on the transfer of Habomai and Shikotan first, and then a peace treaty shall be concluded after the negotiations on Kunashiri and Etorofu are successfully concluded” satisfactory as a “no-winner no-loser” solution? b) Is the Kunadze revealed version of “A Peace treaty shall be concluded with the transfer of two islands and then one more treaty shall be concluded to resolve Kunashiri and Etorofu” satisfactory as a “no-winner no-loser” agreement? 1. “Meeting with Prime Minister of Japan Shinzo Abe,” President of Russia official website, September 5, 2013, http://eng.news.kremlin.ru/news/5939 (accessed September 5, 2013). 2. The Japan Forum on International Relations http://www.jfir.or.jp/j/ (accessed September 9, 2013). 3. Togo Kazuhiko, “Hoppo ryodo kosho kiroku: Ushinawareta gotabi no kikai” [The Inside Story of the Negotiations on the Northern Territories: Five Lost Windows of Opportunity] (Tokyo: Shincho bunko, 2011), 463-465. Without directly answering Ambassador Togo’s two questions related to the form of what could constitute an acceptable agreement on the territorial issue, I briefly present my thoughts on the question of a strategic rapprochement, the opportunities created, and the hurdles that remain. I end by raising questions. I am a “cautious optimist” on the prospects for a peace agreement between Japan and Russia, utterly agreeing that a window of opportunity has opened for an historic rapprochement. The two countries have obviously converging strategies and interests with regard to the key issues surrounding energy cooperation and the balance of power in Asia. Tokyo sees Moscow as a key player in its post-Fukushima energy policy, while Japan is an essential partner for the development and integration of Russia's Far East. In addition, the two share concerns over the increasing power of China, which could threaten the multipolarity of the region. By forging closer ties, they diversify their diplomatic relations and provide a counterweight to Beijing. Japanese diplomatic and strategic circles consider the current Sino-Russian relationship to be unbalanced and plagued by an ever-growing number of glitches, which make it increasingly problematic for the Kremlin, offering an opportunity to forge closer ties with Moscow. As they try to form a quasi-coalition of democracies to counterbalance Beijing, advocates of a "value-oriented diplomacy" are now tempted to co-opt Moscow into their cause. Those (now in the minority) who favor a more cooperative approach to Beijing stress that a rapprochement with Moscow is possible only on the basis of functional cooperation. In this new geopolitical climate, strengthening of shared strategic interests should enable the territorial issue to be relegated to a position of secondary importance. There are signs of flexibility, particularly from Tokyo, which is realizing that prolonging the status quo is detrimental to its interests. Some advisers to Abe even consider the normalization of diplomatic relations with Russia to be one of the final frontiers of Japanese diplomacy, and that the territorial dispute "should not pose a problem" if the need to sign a peace treaty with Russia arose. Furthermore, the Japanese public is supportive of such a compromise. Despite these quite positive conditions and the fact that Putin and Abe agreed on an overall deepening and expansion of the bilateral relationship, including a significant 2+2 dialogue, important hurdles remain to a peace treaty. If the return of strong leadership in Russia and Japan is a sine qua non condition for any reconciliation, the resolution of the dispute still remains severely hampered by ultra-conservative domestic forces on the one hand and by renewed frictions regarding contested borders in the region on the other. From the Japanese point of view, Putin is now a weaker leader than he appears. Some analysts, therefore, feel that he is too dependent on nationalist support and too vulnerable domestically to yield on such a symbolic issue, while the majority of Russians remain opposed to handing the islands back to Japan. Moreover, Putin's fairly open stance on the territorial dispute is understood as not representing the more hard-line approach of Russian diplomats. In Japan, Abe's current popularity stems from the assertive economic reforms he has implemented since coming to power. However, the country's economic recovery remains fragile, and the prime minister's popularity could diminish rapidly at the first sign of economic trouble. As a result, there is no guarantee of a true return to political stability in Japan. Moreover, his nationalist sympathies could make it difficult for him to make any concession to Russia that would provoke the ire of the ultra-conservative circles, which are currently relatively powerful. Lastly, although the Japanese public supports a flexible solution to the territorial dispute, a sizeable majority (76.5%) is somewhat hostile towards Russia. The Kurils/Northern territories dispute is still hugely symbolic for both countries. For Russia, it is a question of national pride associated with its status as a victor in the Second World War. For Japan, it is about having recognized the illegality of Russia's entry into war on August 8, 1945, which violated their non-aggression pact, and remembering the 600,000 Japanese prisoners of war held for many years in Siberian labor camps. The exacerbation of problems inherited from the war in Northeast Asia in recent years represents a significant constraint. In this context my first question relates to the way Japan and Russia might overcome such issues. When I was in Tokyo last spring, I had the opportunity to chat with some young and liberal scholars in the field of international relations. At that time, I was surprised to find out that they deemed any reconciliation with Russia to be inconceivable because of historical memory of the last days of the war. Diverging national collective memories of the last war are again becoming a major impediment to cordial relationships in Northeast Asia, and nationalism is now quite strong in the countries of the region, providing a powerful brake to any concession. How would a territorial agreement be reconciled with these resurgent nationalist memories? My second question is related to the China factor, and is twofold. First, what are the risks of playing on the argument of a “Chinese threat” in justifying the rapprochement between Tokyo and Moscow? The Japanese side often plays up the Russian concerns regarding the risks associated with the rise of China. This emphasis on China might not seduce, but might rather antagonize Russian officials who are reluctant to irritate Beijing. Moreover, as noted in the Country Reports for both China and Russia and Gilbert Rozman noted in his review article, the supporters of building an alliance with the irresistibly powerful neighbor are now gaining influence in Moscow. In any case, for Moscow, it is vital to ensure cordial relations with Beijing. In this context would Russia have to provide any kind of quid pro quo or reassurance to China if it wants to conclude a peace treaty with Japan? How might China react to that? The conclusion of a peace treaty would have many merits. It would signal Russia's desire to firmly establish itself in Asia and Japan's goodwill to settle territorial disputes, which would run contrary to some of the arguments put forward by Chinese authorities. Right now, though, the issue remains hostage to a prestige-driven approach that ignores the true national interests at stake. This is why Tokyo and Moscow must focus first on building a full-fledged economic and political relationship as a way to reduce the internal and external barriers to a peace treaty. Also it can be found in Russian, here: http://www.ifri.org/index.php?page=contribution-detail&id=7809&id_provenance=88&provenance_context_id=6.